After 9/11 and other terrorist attacks around the globe, it became evident that nuclear security concerns should not be limited to nuclear and fissile material. They should also include lower grade nuclear material as well as radioactive substances that could be used to disperse radioactivity in the environment. This new approach dramatically changed the perception of nuclear security. Now the international nuclear community is taking a much broader view of security to include all substances, fissile or radioactive, that have to be managed to ensure their accountability, safety, security and, for fissile materials, their peaceful uses. One of the signs that the international community is paying much more attention to security is the fact that there are new and amended international conventions, such as the Physical Protection of Nuclear Material Convention. In this convention, which was revised in 2005, State parties agreed on strengthening security measures. Another convention of similar nature is the International Convention for the Suppression of Acts of Nuclear Terrorism, which entered into force in July 2007. This convention emphasises the need to criminalize acts involving the use of radioactive substances for the purpose of causing threat, destruction or death among people, as well as having negative impacts on the environment and property. It also contains an article whereby all the State parties commit to make every effort to prevent these acts from happening. In its operative articles, the convention also refers to functions of and recommendations for the IAEA. When you bring these things together it becomes clear that a whole new approach to international nuclear security is emerging. The UN Security Council has also made important contributions to nuclear security. They issued a resolution, UNSCR 1540, which contains obligations for all countries of the UN System to protect nuclear material from theft and put in place effective border control, so that any undeclared, unauthorised or illegal movement of radioactive and nuclear materials could be caught at the borders or other locations. Another aspect of the increased international attention on nuclear security relates to the need for a holistic approach to security. As noted earlier, all materials, radioactive and fissile, should be subject for security considerations. And they should also be considered in every application – at nuclear facilities, for nuclear energy production, in medical or industrial uses, etc. Wherever these materials are, they should be subject to a management system that ensures security. Furthermore, it is equally necessary to underline that such a security system is not ‘one size fits all’. One has to consider the type of material, its properties and how a graded approach can be implemented for security and physical protection. Otherwise such as system would not be respected and implemented in a truly holistic manner. A holistic approach also includes the so-called ‘second line of defence’, which means that measures for long-term security at facilities should be complemented with other measures to detect stolen materials. For example, in addition to ensuring that a cargo does not contain undeclared radioactive substances at border crossing points, it is essential to cooperate with law enforcement authorities in case of a suspected package or seizure. It is also necessary to have response measures in case of a seizure. These measures include knowing what to do with this material, taking proper radiation protection, but also handling the material in a safe and secure manner and bringing it to a place where it is under appropriate control. Combining prevention, detection and response is the essence of the holistic approach. It is widely recognized that the ultimate responsibility for nuclear safety and security rests with the State. Nevertheless, it is also clear that effective nuclear security requires international cooperation. This is where the IAEA can make a contribution and a difference. The IAEA interacts with its Member States to help them and, if there is an interest, develop an integrated nuclear security support plan, which deals with measures for prevention, detection and response. Internationally, a common benchmark for the security systems is needed. This is done through the development and publishing of guidance documents. The IAEA produces the Nuclear Security Series as internationally accepted guidelines. It is critical that the international community has shared values for the security systems, and that there are common benchmarks accepted by IAEA Member States and other organizations. The IAEA also provides review or advisory services for its Members States in prevention, detection, and response, when requested. In these services, the IAEA assembles a small group of recognized experts to look at facilities and situations in the country, and evaluate whether these meet international standards and best practices. These experts then make recommendations for improvements or strengthening, if warranted. The experts also point out if they find good practices and what these are. Such review and advisory services are important tools for any country seeking to strengthen nuclear security or to convey the message that they are serious about nuclear security arrangements. The IAEA has a major programme for human resource development, which includes training activities as well as an educational programme at the graduate level that can be picked up by universities. The IAEA also supports information networking, such as the illicit trafficking database. This database contains information on radioactive and fissile materials circulating in circumstances where they should not be found, and what to do about it. Additionally, the IAEA provides assistance in capacity building. For example, the IAEA helps building effective border control measures, or improving the actual physical protection measures of facilities with accounting and control systems. 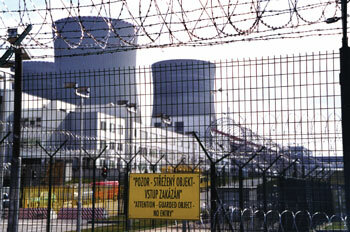 The expansion of nuclear energy is an opportunity for conveying the values of nuclear security. It is an opportunity for countries to build nuclear security into their infrastructure system from the very beginning and in a holistic manner. All the conditions of nuclear activities should be considered in a comprehensive manner. There are obligations with relevance to nuclear safety to avoid accidents. There are also obligations to account for the material, keep proper registries, know where all the substance and material quantities are at any time, and have the right security systems in place, including a graded approach to physical protection, adequate access control and particular protection for sensitive equipment and information, etc. These requirements must be conveyed in a comprehensive and synergistic manner. The main challenge is to keep in mind is that this new security paradigm is here to stay. When society benefits from nuclear energy, from the medical applications of radiation therapy or diagnostics or the use of radioactive sources in industrial applications, it needs to recognise that this must be followed by responsible management including safety, security and safeguards considerations. This is a challenge, but it is also an opportunity for ensuring further, more widespread, benefits of nuclear energy and its many applications. Anita Nilsson is Head of the IAEA’s Office of Nuclear Security.